A few months ago, I had the opportunity to document one of my friends bring her youngest little one into the world. 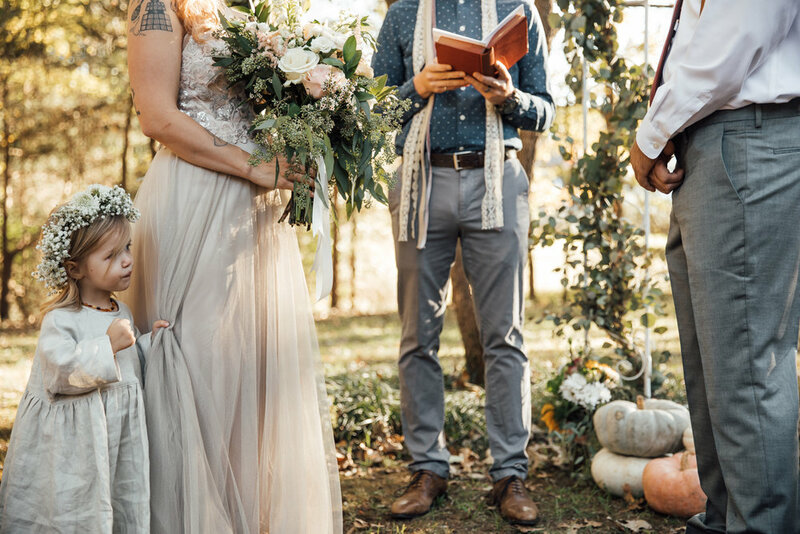 And on a beautiful fall afternoon in October, I also had the chance to witness and document her and her family vow to love and support each other for life. Tessa & Kevin, I am speechless. I don’t have the worlds to explain what it means to me that you two continually choose me to document these powerful, moving moments of your life but I am beyond honored and blessed to be a part of these days, and to be your friend. I love you guys so much and am SO HAPPY for you!! While Theresa and Kevin traded rings to signify their promises, Kevin brought a necklace to give to Lelia to represent the promises he was making to her, too. It was such an emotional moment to see their whole little family standing there together exchanging vows and promises that they have known in their heart for so long. One of my absolute favorite parts of the day was the quiet moment these two shared after the ceremony. 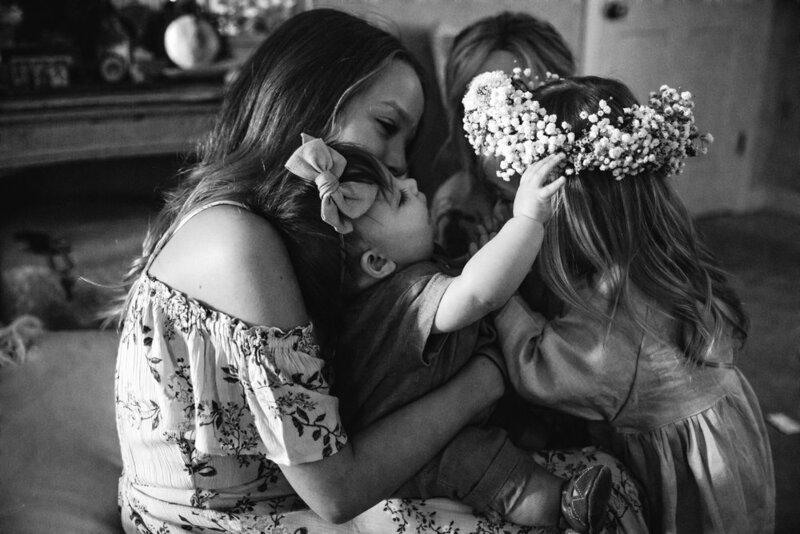 Theresa had her Barefoot Bride dress altered so that she would be able to breastfeed, and she looked like a goddess doing it. I think I probably squealed out loud when I stepped into Theresa’s grandmother’s already beautiful backyard. 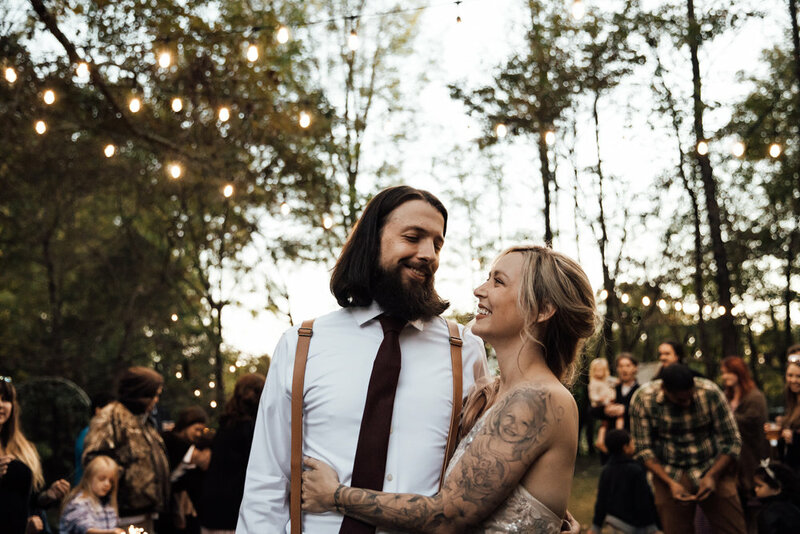 It had been transformed into the most perfect intimate backyard wedding. Long wooden tables filled one side of the yard, lined with adorable mix-match china plates, honeycomb candlesticks, and beautiful bundles of florals. String lights floated above everyone as they sat together for dinner, the last bit of the sun poking through the tree line.